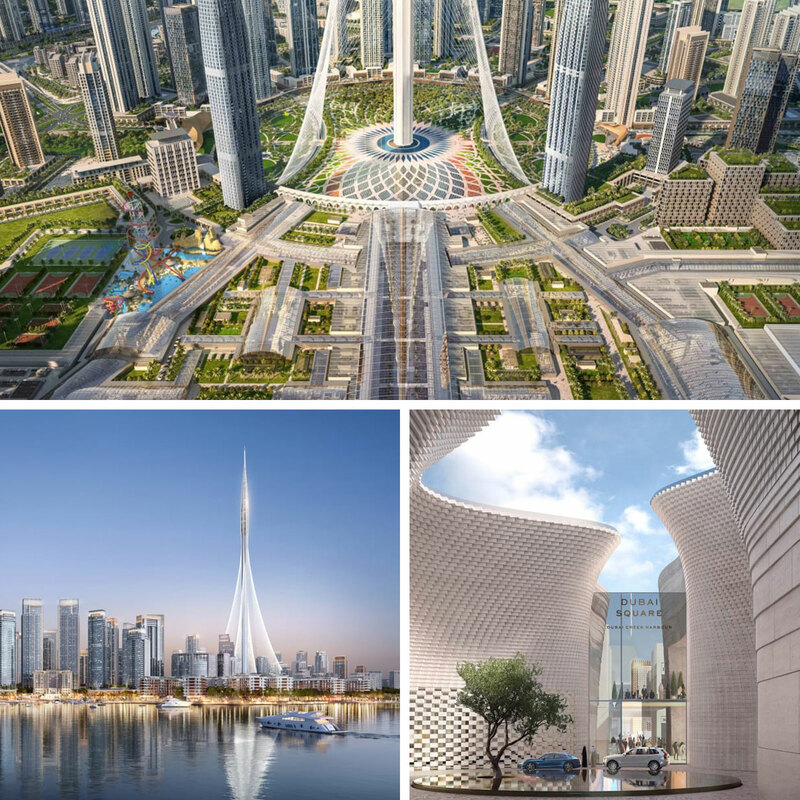 Dubai Holding and Emaar Properties have announced Dubai Square, a new retail metropolis in Dubai, that will “push the boundaries of modern retail and leisure by drawing on next-generation technology”. Located in Dubai Creek Harbour, the $3.5 billion project will boast 750,000sq m of retail space spread across three levels. The retail metropolis is set to become the world's largest shopping centre, dwarfing the 660,000sq m New South China Mall in Dongguan. 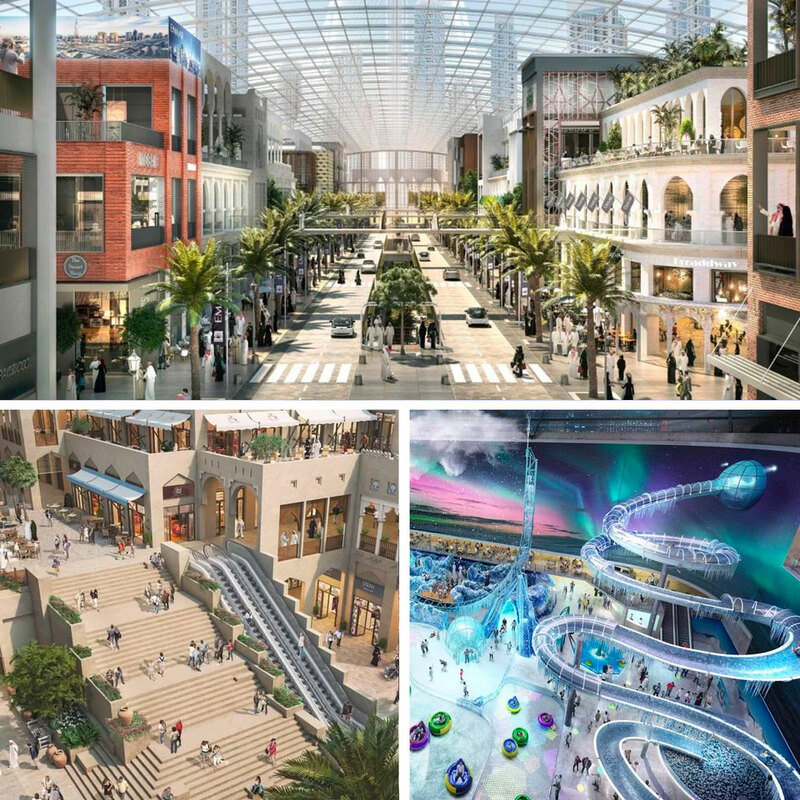 Integrating indoor and outdoor shopping, Dubai Square will be more than twice the size of the existing The Dubai Mall. The wider retail, entertainment and residential complex will be 2.8 million sq m in size. The shopping centre will lie at the base of Dubai Creek Tower designed by Spanish architect Santiago Calatrava, a super-tall structure which, at 928 meters, will eclipse the Burj Khalifa. Dubai Holding, the government’s global investment holding, and property developer Emaar Properties have styled Dubai Square after famous shopping districts from around the world, including Oxford Street in London, Beverly Hills in Los Angeles and the Champs-Élysées in Paris. With Dubai being the fourth most visited destination in the world, Dubai Square will also be the closest mega-retail district to millions of visitors passing through Dubai International Airport, located just 10 minutes away. "Dubai Square will play a pivotal role in further establishing Dubai as the next champion of global retail." “The destinations we have delivered, such as Jumeirah Burj Al Arab, JBR, Global Village and Business Bay, are some of the most recognisable urban landmarks of today,” Dubai Holding chairman Abdulla Al Habbai said. Shopping for fashion will be “unique and immersive” thanks to special VIP dressing rooms, smart fitting rooms with interactive mirrors, curated private fashion collections, personalised AI recommendations and 3D printed clothing and accessories. 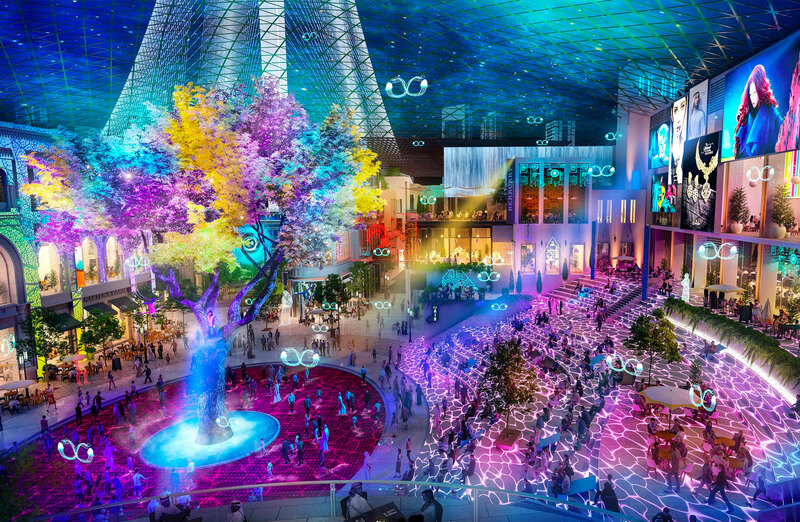 "Dubai Square is where technology meets the human touch, and retail meets next-generation entertainment." Quick checkout solutions, search and barcode scanning applications, radio-frequency identification technology, mobile payments and click-and-collect services will also be incorporated into retail stores. Specially designed apps for ordering food and beverage on the premises will minimise queuing and long wait-times, while some vendors are set to provide personalised dining recommendations and 3D-printed food delicacies. Furthermore, Dubai Square will feature an Art District - from permanent exhibitions to ephemeral performance art, from large-scale concerts to one-man shows. The shopping centre will also offer a waterpark, cinema, sports arena and will also be home to the Middle East's largest Chinatown. “Dubai Square disrupts the traditional mall and retail experience.” Emaar Properties chairman Mohamed Alabbar said. 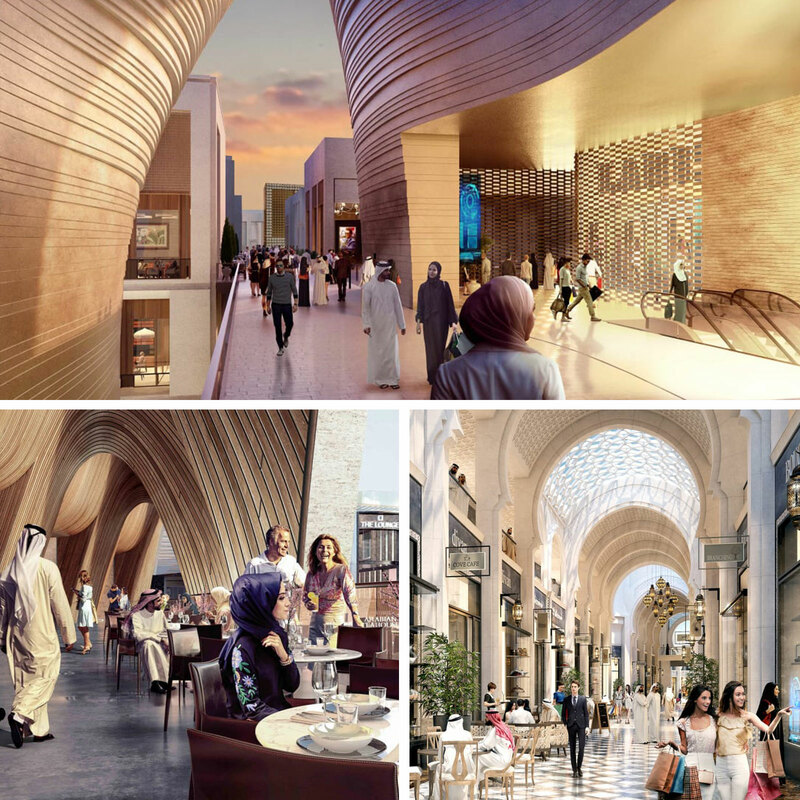 As the centrepiece of Dubai's new Creek Harbour, the mall will eventually be part of a 550-hectare mega-development. Creek Harbour will eventually comprise 7.3m sq m of residential space, 940,000sq m of retail precincts, 300,000sq m of commercial space, over 66,000sq m of cultural space, 700,000sq m of parks and open spaces, and 24 hotels with 5,800 rooms. When completed, Dubai Creek Harbour will be home to over 200,000 people.